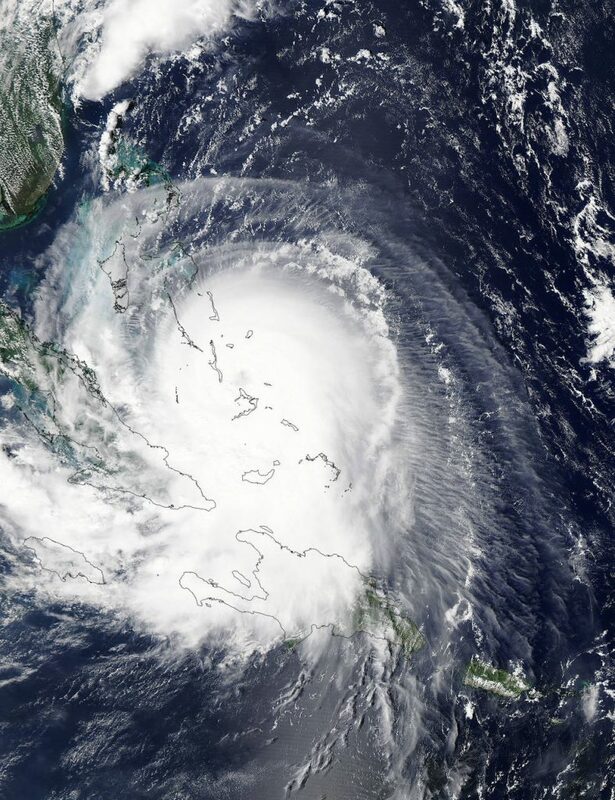 Hurricane Joaquin is an active tropical cyclone that severely impacted large parts of the Bahamas and is currently threatening Bermuda. 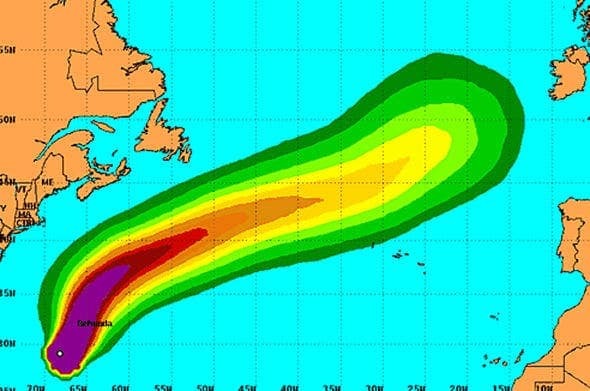 Its extremities will also pass through other areas in the Atlantic, potentially even over parts of Western Europe. Now, according to NASA data, the hurricane will be experiencing a phenomenon called eyewall replacement. The Moderate Resolution Imaging Spectroradiometer or MODIS instrument that flies aboard NASA’s Aqua satellite captured a visible image of Hurricane Joaquin over Bahamas on Oct. 1, and in the image, the eye of the storm was still visible. However, the eye was quickly obscured by clouds, indicating that the eye will be replaced. This is not extremely uncommon; eyewall replacement cycles naturally occur in intense tropical cyclones, generally with winds greater than 185 km/h (115 mph), or major hurricanes. Basically, when the hurricane reaches a certain intensity, the eyewall contracts and the outer rainbands strengthen, creating a ring of thunderstorms. This ring then moves inward and robs the inner eyewall of its necessary moisture and angular momentum, effectively choking it. During this period, the storms generally lose intensity. However, as the new ring takes the place of the older one, the storms may re-intensify, and this is generally bad news. In some rare cases (for example, Hurricane Juliette in 2001), there are actually three concentric eyes, which seems to generate extremely violent storms. 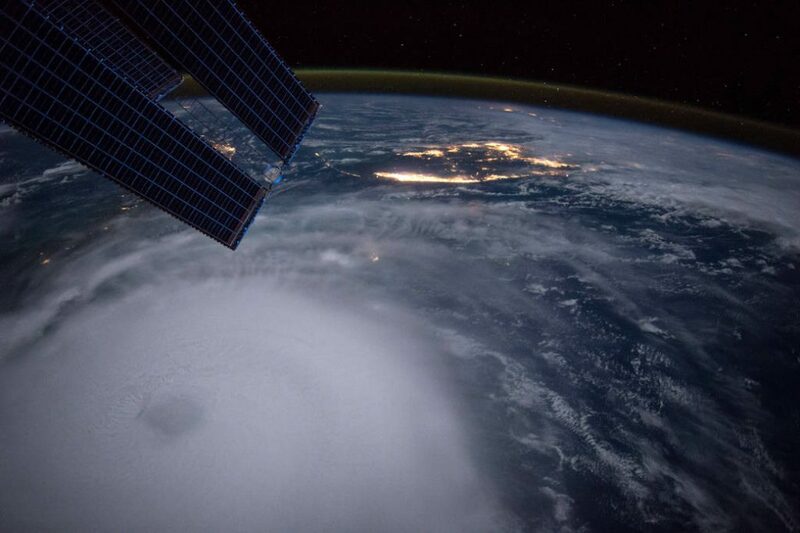 NASA Astronaut Scott Kelly captured this photo on Oct. 2, 2015, from the International Space Station and wrote on Twitter, “Early morning shot of Hurricane #‎Joaquin‬ from @space_station before reaching ‪#‎Bahamas‬. Hope all is safe. #‎YearInSpace‬.” Image credits: NASA. Image via National Hurricane Center. It looks like we’re gearing up for a rough autumn.